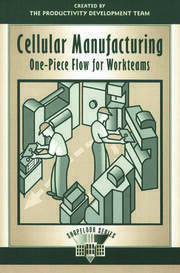 Cell manufacturing takes traditional process-based production environments and creates right-sized smaller work areas that have all of the essential workstations and equipment needed to produce the product. 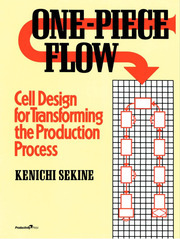 Until now, there has been a need for a book with step-by-step guidelines on how to implement cell manufacturing, also known as work cells. 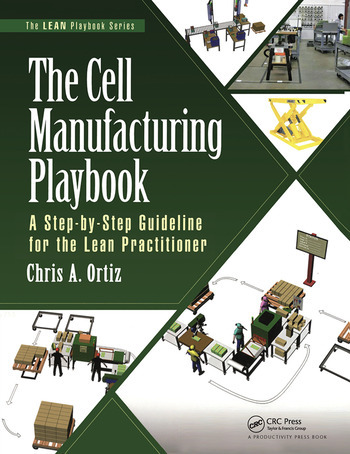 Complete with color images, The Cell Manufacturing Playbook: A Step-by-Step Guideline for the Lean Practitioner fills this need. This new book in The LEAN Playbook Series is ideal for Lean practitioners and facilitators looking for a training tool that can be used in the work area while improvements are being made. Like a football coach, you can use this playbook for quick reference to convey what’s needed to facilitate effective work cell implementation. If for some reason you forget a "play", you can easily reference the playbook. You can follow page by page and use the playbook to facilitate successful work cells, or you can go directly to certain topics and use it to help you implement that particular "play." The playbook includes color pictures, examples, and 3D models from actual work cell implementations. In addition to the images, a combination of short paragraphs and bulleted points walk you through the process of implementing work cells to bring about remarkable changes in your organization. Although the book wastes little time on high-level theory, it does include an introductory portion that provides the foundation in the 8 Wastes and Lean metrics needed to fully benefit from this playbook. Coverage includes time studies, line balancing, standard work, single piece flow, takt time, and workstation design. Chris A. Ortiz is the founder and president of Kaizen Assembly, a Lean manufacturing training and implementation firm in Bellingham, Washington. Chris has been featured on Inside Business (http://www.youtube.com/watch?v=LMm3fVsbPtM) with Fred Thompson on CNN Headline News. 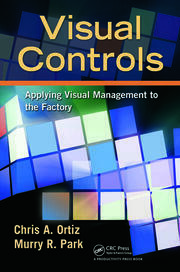 He is the author of five books on Lean manufacturing. Chris has been featured in dozens of publications including Assembly Magazine, Industrial Engineer, Industrial Management, Metal Finishes, Plant Engineer, Auto Body News, and Collision Repair Magazine. Chris Ortiz is a frequent presenter and keynote speaker at conferences such as the IIE Annual Conference and the NACE Automotive Exposition. He also has been interviewed on KGMI radio, and has written numerous articles on Lean manufacturing and business improvement for various regional and national publications. Chris also was recently on the national radio show the American Innovator. He is invited to speak at a few international business and manufacturing conference in Europe every year. Kaizen Assembly's clients include industry leaders in aerospace, composites, processing industries, automotive, rope manufacturing, restoration equipment, food processing, and fish processing. Mr. Ortiz has been trained by the John Costanza Institute of Technology in "Demand Flow Technology" and by the Georgia Institute of Technology for ISO 9001:2000 Internal Quality Auditing. He is also a member of the Institute of Industrial Engineers and the Society of Manufacturing Engineers. He is the creator of the LEAN Marketplace (www.learnmarketplace.com). Chris Ortiz is considered to be an expert in the field in lean manufacturing implementation.